Large 3 storey brick and timber home with all the mod cons. Modern kitchen with new fridge and oven and modern upstairs bathroom. Heat pump installed for winter stays. 300 metres to the estuary, for safe swimming and kayaking, and a 5 minute walk to the surf beach, estuary mouth and corner stores. House situated in a quiet cul-de-sac, away from the busy summer crowds. Off street parking and a big backyard. Indoor-outdoor living with open plan and multiple doors on to wrap-around decks. Ideal for families or for those who just want plenty of space. 4 double bedrooms over two levels of the house. Dogs allowed outside only. Peak and Summer pricing is for 6 adults with room for additional 2 adults as extra paying guests. A maximum of 8 guests - extra guests by arrangement only. $100 off-peak price is for maximum of 4 guests only. Weekly stays preferred during peak season. Peek season price for Beach Hop event. We look to rent to family groups over New Year and Beach Hop period. Cleaner contact available for tenants to make own arrangements and payment with. Great facilities, including a heat pump to keep warm on a cold night. Great facilities, including a heat pump to keep warm on a cold night. Heaps of bed's to choose from. We really enjoyed our stay and plan on returning if there is availability. This property is in a great location, however the property itself is very run down and the house is unclean inside. Simple things like outdoor furniture is all wobbly and falling apart, terrible BBQ considering this is what most people would cook with. Just a really dirty feel about it and not anywhere to put our stuff as it was full of the owners things, food etc. Such a shame to have paid $300 a night for this. Thanks for your feedback. We have fixed the outdoor furniture and replaced the BBQ with a new one with a hood. As advertised, the house is a family bach, which we rent for a few weeks each year. As such, we leave out all our beach toys, DVD's, books and board games for people renting our bach to use. We would hope this compensates for the few condiments and stores we keep in the kitchen fridge and pantry. There is also a second fridge/freezer downstairs that is left totally empty. my family loved the property and were amazed at the size and how beautiful it was. 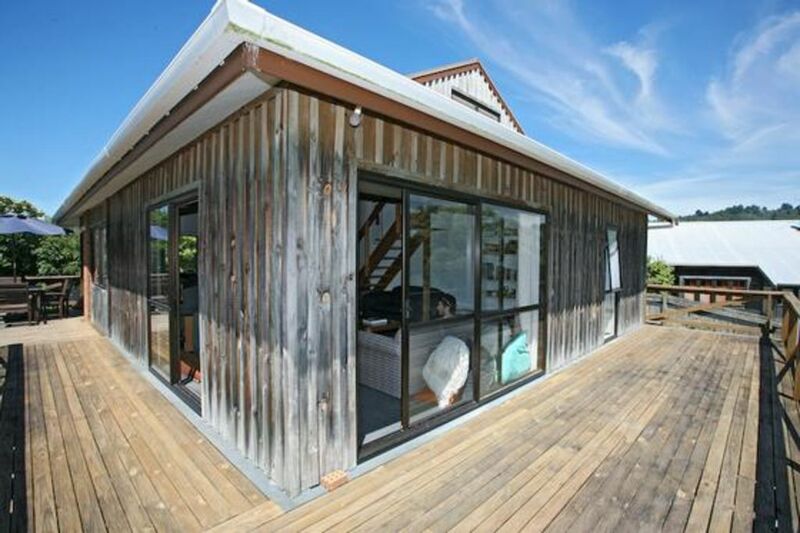 my family loved the property and were amazed at the size and how beautiful it was.It was very well catered for every need my family fell in love with the place.If I ever need a bach to stay in again in whangamata i would probably stay at this property again. Great bach. Very private setting at the end of a cul-de-sac. Tonnes of room inside and out with a large deck that runs around most of the house and a big back lawn. More than enough beds to accommodate 2 or more families.